A pretty, semi-detached Edwardian cottage occupying a delightful, semi-rural location within easy reach of Malton & providing spacious three bedroom accommodation. Semi-detached property with comfortable and well cared for accommodation. Gardens front and rear, garage and parking and located in a sought after and peaceful part of the town. A well-located, three bedroom semi-detached house with double garage, ample parking & garden bordering open farmland. 34 Marshall Drive is a deceptively spacious three bedroom semi-detached property, occupying a quiet position on the eastern fringes of town. A beautifully presented, Grade II Listed three bedroom village house with two reception rooms, breakfast kitchen, garage, parking & lovely walled garden. A newly constructed semi-detached family house forming part of a select new development. Finished to an excellent standard & offering accommodation over three floors with gardens & off-street parking. A superbly extended & immaculately presented semi-detached house located within a popular & well served village with driveway, garage & fabulous garden. An increasingly rare opportunity to acquire a building plot set in a peaceful back land setting within a sought after National Park Village with full planning permission in place for a large detached five bedroom property with associated amenity space and a garage (NYM/2016/0085/FL granted 2016). An immaculately presented link-detached house providing well appointed three bedroom accommodation with conservatory, gardens & garage. A well-designed three bedroom semi-detached house forming part of a select new development. Offering high specification accommodation arranged over two floors together with gardens and off-street parking. Help to Buy available. An attractive, single storey detached barn conversion offering well appointed two bedroom accommodation with easily maintained garden, parking & garage. A recently modernised 1930s semi-detached house located on the edge of the village & providing deceptively spacious accommodation with three double bedrooms. A well-presented semi-detached bungalow offering light & airy accommodation with south-west facing back garden & ample parking in a popular village. A spacious & immaculately presented three storey town house with three double bedrooms, garden, parking & detached garage. A spacious & immaculately maintained one bedroom apartment located on the first floor of this popular retirement development by McCarthy & Stone. A charming, end of terrace Grade II Listed stone cottage providing two bedroom accommodation with lots of character in a popular village location. Contemporary residential development for the over 60s. 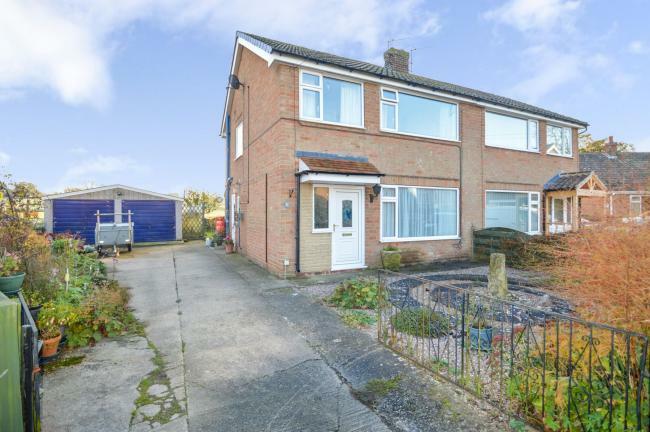 A surprisingly spacious detached house with garden and off-street parking, occupying a quiet position within a well-served village within easy reach of Malton. An ideal investment property or second home; Mullein Lodge is tasteful conversion of the former Parish Rooms, combing a modern and attractive finish with the lofty proportions of this period building. Showing 126 to 150 of 178 Properties.